The program requires 134 semester hours of rigorous academic work for graduation. Students take a series of sequential courses in several areas and develop skills necessary to be successful mechanical engineers. The department also provides a path for a 2+2 aerospace engineering degree from W.V.U. that leads to a Bachelor of Science in Aerospace Engineering. Under this arrangement, a student interested in a BSAE degree from W.V.U. can start as a freshman at W.V.U. Tech in mechanical engineering and complete the appropriate courses in four semesters before moving on to W.V.U. What co-op opportunities or internships are available? Hands-on experience comes in the form of the co-op program, internships and on-campus work-study jobs. Students may start in their sophomore year to work and attend school alternating semesters for a maximum of five semesters of co-op or three semesters of internship under the guidance of a full-time program coordinator. The program also includes a mandatory, senior level, two-semester long design project (ME Systems Design I & II) in which students investigate current topics and build and/or write research reports on their work, some of which have been published in national technical journals. A degree in mechanical engineering prepares students for a variety of positions in industry, government and education. Recent graduates have pursued careers in large and small, national and international companies and the positions include: plant engineer, field engineer and design engineer. Graduates have also successfully completed graduate degrees. 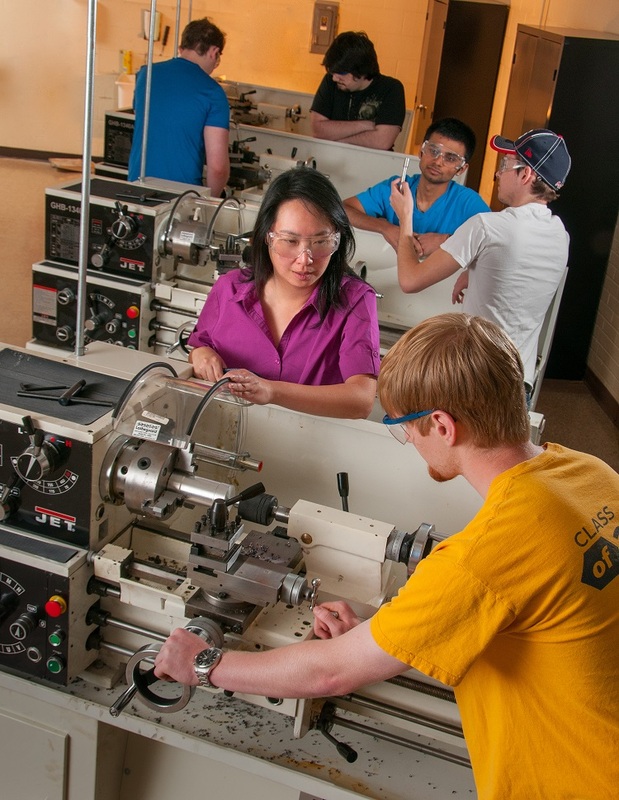 In order to prepare our students for real-world challenges, the mechanical engineering department at W.V.U. Tech offers a practice-oriented education with a strong emphasis on hands-on experience. Our ABET accredited program is structured to develop these skills by offering foundation courses in mechanical engineering such as thermodynamics, machine design, heat transfer, mechanical vibrations, control systems and materials science. Courses such as English, mathematics, physics, computer science, the humanities and general engineering science supplement the mechanical engineering curriculum and technical electives are offered in energy and mechanical systems, enabling students to pursue advanced studies in their areas of interest. Engineers are builders and need to develop strong analytical and design skills. Our curriculum is structured so that meaningful design experience is included in several of the required and elective courses. Mechanical engineering students develop these skills systematically by successfully completing a series of sequential courses in statics, dynamics, mechanics of materials, fluid mechanics, dynamics of machinery, machine design and mechanical engineering systems design. Open-ended problems and multiple-solution design concepts are incorporated across the curriculum involving design assignments in thermal and mechanical systems. This process starts with the Mechanics of Materials course in the sophomore year and culminates with the capstone design courses (ME Systems Design I and II) at the end of the senior year. The capstone design courses provide students with an opportunity to apply previously acquired knowledge in areas that include mathematics, science, engineering, humanities, communications, ethics and economics. Our faculty also recognize the dynamic nature of modern technology in which changes are inevitable and the need for our graduates to be well-prepared to meet these challenges. The mechanical engineering curriculum is under constant review and modifications are introduced continuously in response to the changing needs of the industry and the job market. Consistent with the mission and the goals stated above and with input from the constituents of the mechanical engineering program, the following educational objectives have been adopted by the department. be able to obtain professional registration, if they choose to, after appropriate professional experience. Consistent with the mission of W.V.U. 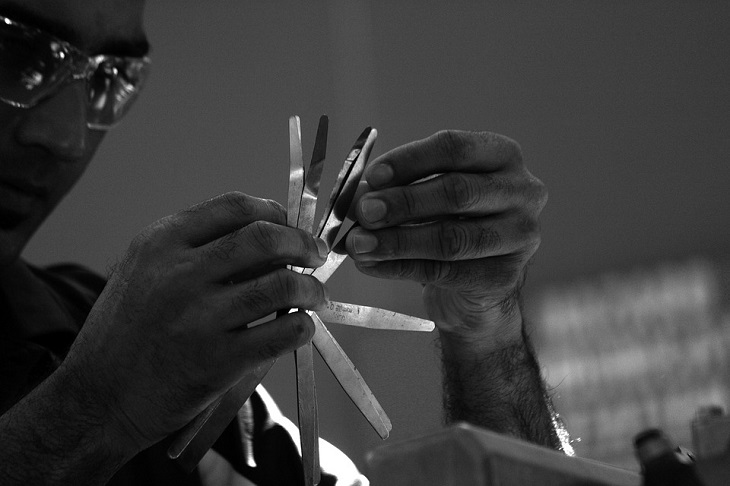 Tech and in compliance with ABET criteria, the Mechanical Engineering program at W.V.U. Tech emphasizes the development of a well-rounded engineer with a strong background in mathematics, sciences, engineering analysis and design. Graduates of this program will be able to practice engineering as professionals or pursue graduate education and advanced studies. The ability to work professionally in thermal and mechanical systems areas including the design and realization of such systems.